Fireplaces have long been a popular home feature. Over the years, electricity has reduced their primary role from main heat provider and cooker to a home upgrade, but they’re still trendy among homeowners who appreciate the feeling of a hot fire on a cold night. Fireplaces have also been transformed by architects who have found ways to elevate the character of the home through their design. We’ve compiled some of our favorite fireplaces that have transcended the traditional stone and brick of fireplaces past to become breathtaking features. This beautiful fireplace in Mapleton, Utah, was featured on Home Bunch and shows how attention to detail can really elevate the wow factor of your fireplace. It’s a basic gas log system with brick framing, but the designers added gorgeous white molding, lighting, and built-in shelving making it an amazing focal point for the room. If you think this is great, make sure you check out the rest of the home! 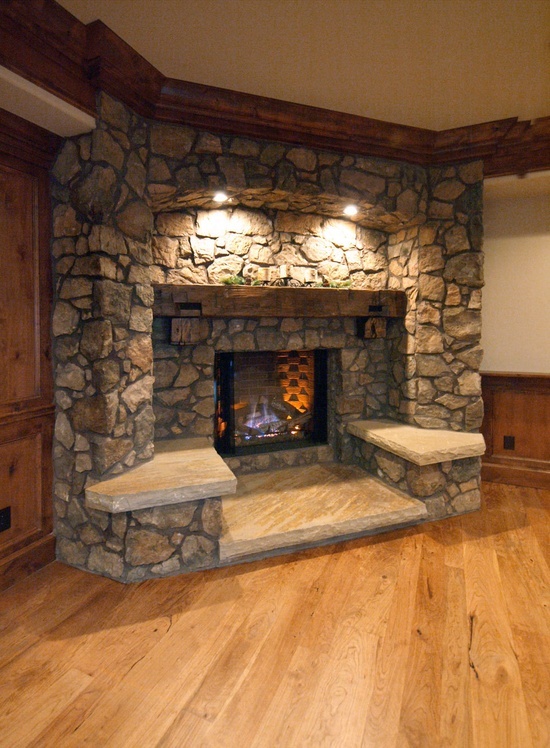 Like to warm up next to the fireplace? This stone beast originally shared by Boards and Beams has built-in seating next to the hearth. Can you imagine the wonderful toastiness that would be emanating from the fire? What a great feature for extra cold nights. The platforms would also be great for displaying Christmas Poinsettias and décor. Fireplaces don’t have to be all stone or brick. There are some gorgeous contemporary versions that include straight lines and more modern materials. 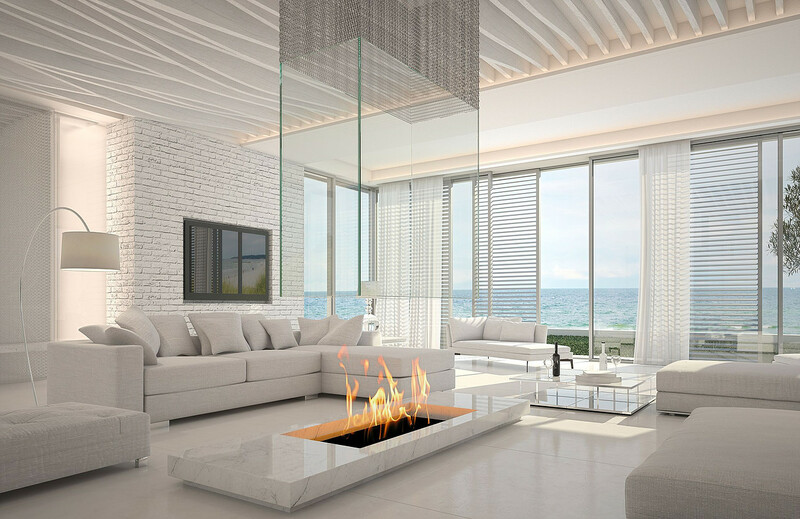 This glass hood fireplace from Intergrazia is like having an open fire pit inside the home. Of course, we don’t suggest it if you have children…or friends that don’t hold their liquor very well. Still, you can’t argue that the fireplace doesn’t have much style. Here’s another example of a contemporary fireplace. This one is from Jennifer Brouwer Design, and includes straight lines and painted stone. The overall design is quite simple, but the color choice and floor-to-ceiling placement leaves an impression on visitors. If Jenna Sue Design had never shared the before pictures from her living room makeover, no one would know how truly awful this fireplace once was. It had been stuck in the 1970s with a strange partial face made of red brick. With some new materials to help, it was transformed into a beautiful rustic focal point that’s cozy and stylish, and the perfect place for displaying home décor treasures. When you only have one fireplace in the house and it’s on the wall that works the best for the family television, you have to get a little creative. 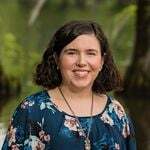 Leslie at Gwen Moss was farmhouse-inspired when she decided to hide the television above her beautiful stone fireplace with miniature barn doors. Add distressed built-ins to that and the results are gorgeous! Scandinavian style is characterized by pale washes of color and simple design. It’s one way people of Sweden, Denmark and Norway brighten up their homes during the long winters. 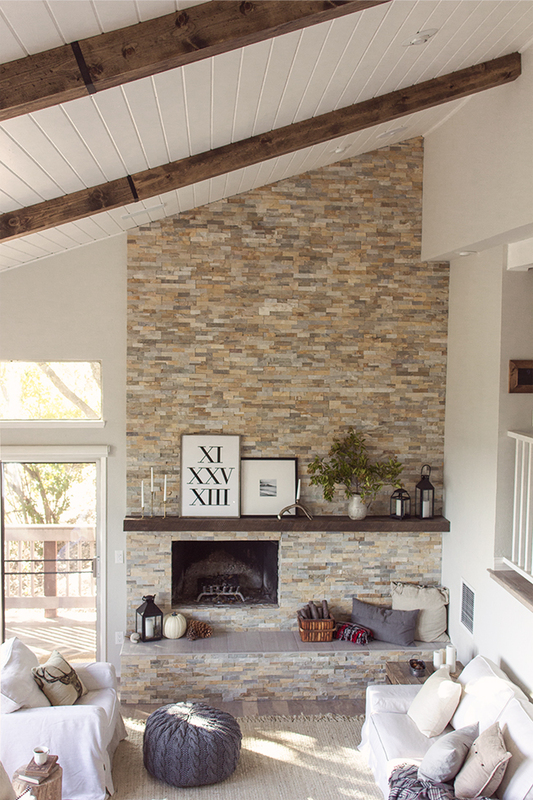 This fireplace featured on Homes to Love is one example of how the Scandinavian style can be applied to fireplaces. It has a sort of modern feel to it due to the straight lines, but the materials and color are very much Scandinavian. 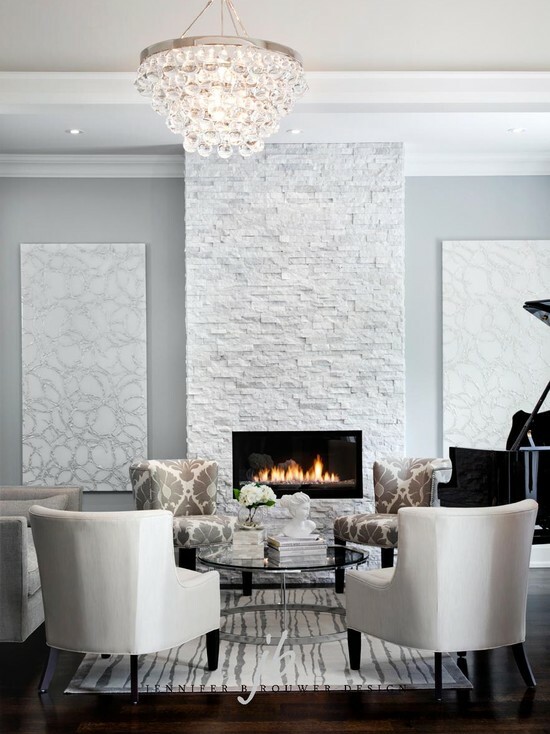 Square and rectangular fireplaces are so common that it’s exciting to see a designer “think outside the box”. This rounded fireplace from Hutker Architects is actually shaped like a silo and placed at the core of the home to encompass 3 fireplaces. The results are absolutely fabulous! 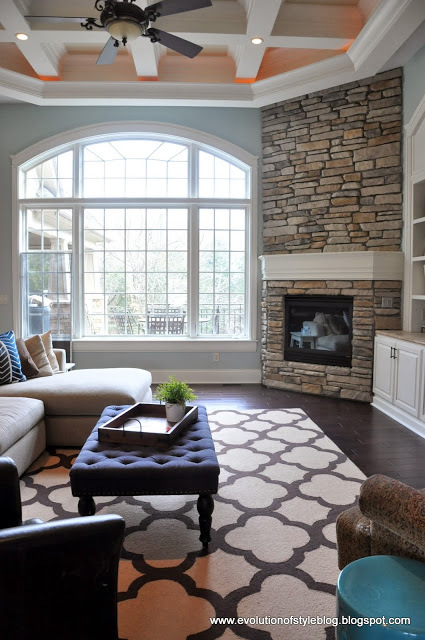 Corner fireplaces are very common in our neck of the woods, especially in townhomes where space is limited. 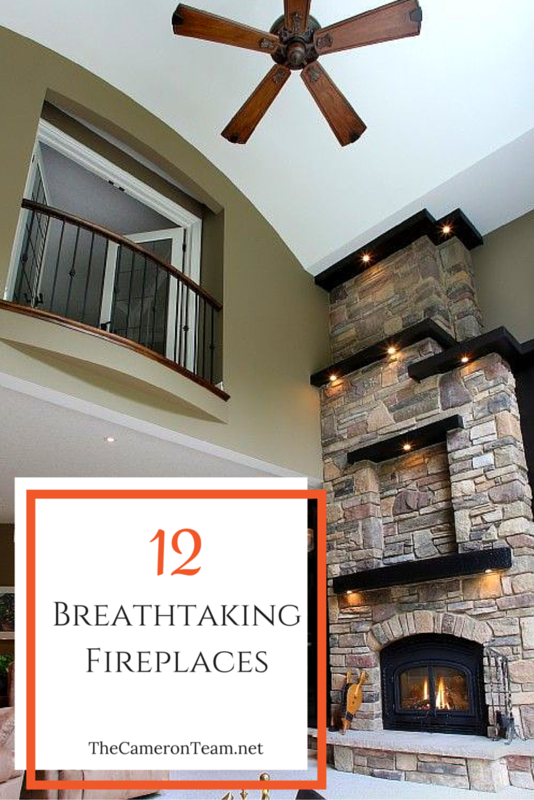 But a tricky space doesn’t mean the fireplace needs to be boring. This corner fireplace from Evolution of Style was a DIY project that took the living room from “meh” to “wow!” There are before and after pictures on the blog. 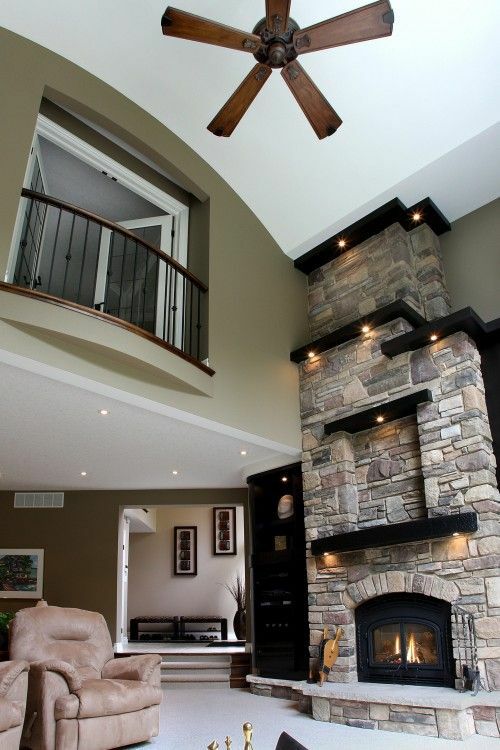 Not a fan of tall, plain fireplaces? Break up the elevation with shelving and lighting. 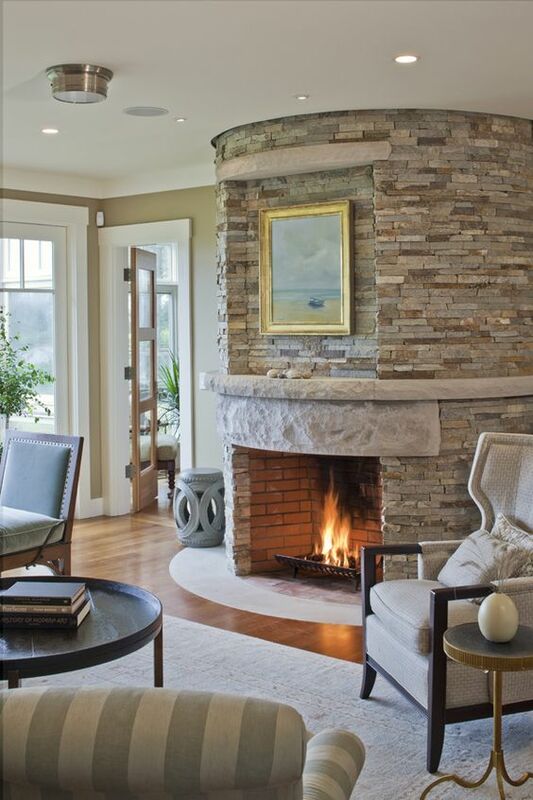 This multi-story fireplace from Schnarr Craftsmen has alternating shelves with recessed light fixtures that shine light downward onto the stone. It’s an excellent way to add dimension and character to a large fireplace that may otherwise just be a straight line up to the ceiling. Here’s a lovely modern twist on a classic style. Betty Wasserman shared her farmhouse makeover with Home Adore, which included this large fireplace that resembles something one might see in the Southwest. 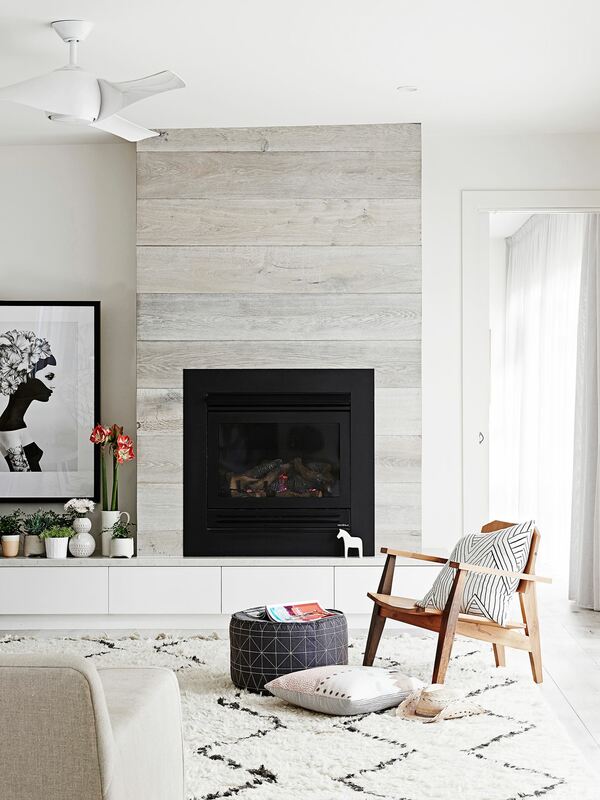 Instead of the rounded corners usually seen in this type of fireplace, it’s been updated with straight modern lines and a fresh white exterior that blends well with the rest of the home’s new interior, which you can see on the blog. Stone and brick are great, but sometimes a home’s style calls for something else. Contemporary homes embody clean lines and minimalistic style, and they need fireplaces that reflect that. 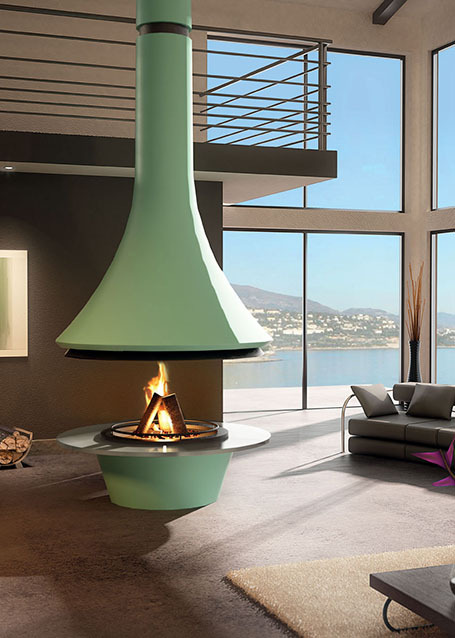 This green fireplace from JC Bordelet is a good example of contemporary style. It’s made of metal and glass, and has a flexible design that makes it perfect for creating a central seating area, unlike fireplaces built into a wall. We hope you’ve been inspired! 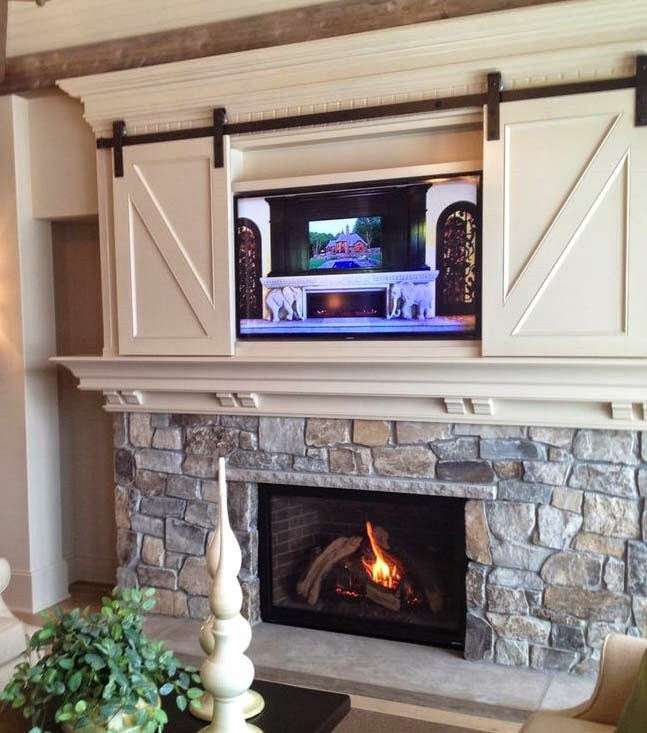 Have your own spectacular fireplace? Share it in the comments. You can also view all homes with fireplaces for sale in New Hanover County.